China has made progress in Feiyun program, a solar-powered drone technology that will eventually become a vast network facilitating emergency communications and ground observation, China Daily reported Monday. 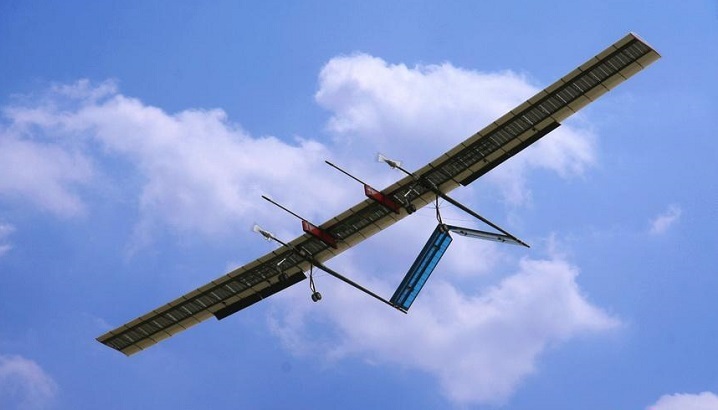 Zhang Hongwen, president of Third Academy of China Aerospace Science and Industry Corp, a major space contractor, said the academy carried out more than 100 test flights of its solar-powered unmanned aircraft in 2018 and determined the drone's design as well as the capabilities of equipment mounted on the drone during the flights. It is able to undertake several tasks traditionally performed by satellites, but at a much lower cost, according to Meng Fanyuan, chief designer of the system at the academy. Upon its completion, the system will also be able to maintain at least one week of emergency communication services in case of failure in ground-based communications, the designer added. The academy intends to form a drone network to display and promote its use in remote sensing and telecommunications over three years starting from 2020, according to Zhang.